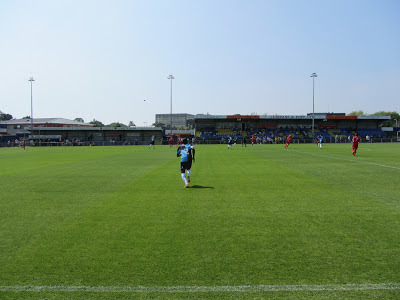 My fifteenth stadium of 2013 was on Saturday 6th July 2013 at Westleigh Park in Havant, Hampshire. 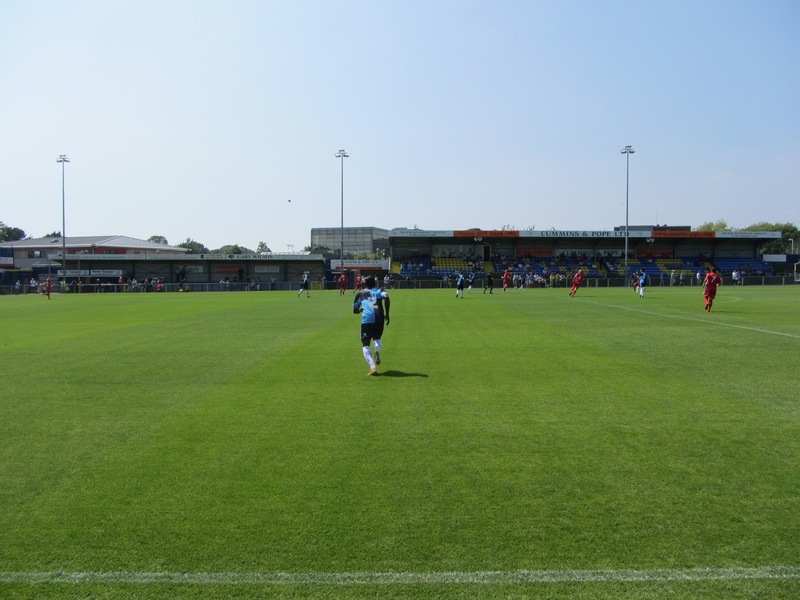 The match was Havant & Waterlooville vs. Wycombe Wanderers in a friendly game. 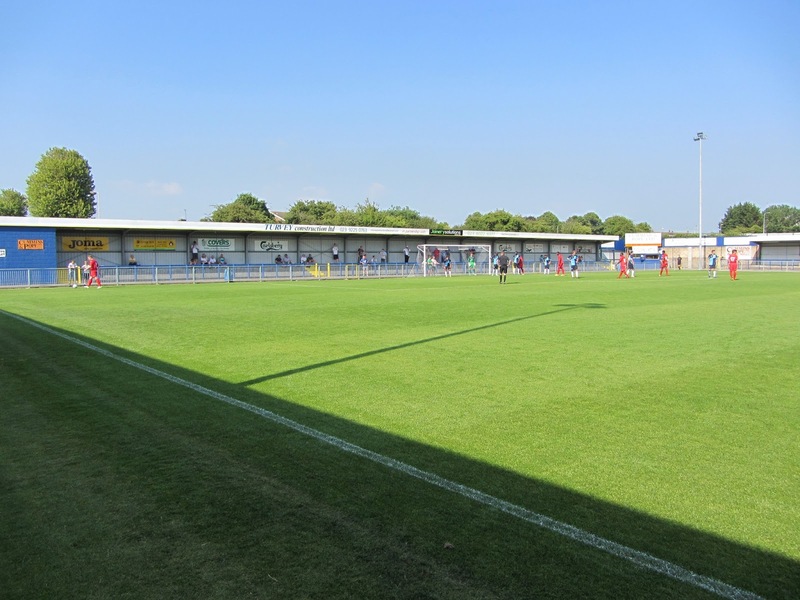 Westleigh Park is situated in a small park in the north of Havant. The venue is 1 mile north of Havant railway station and was opened in 1982 as the new home for Havant Town. 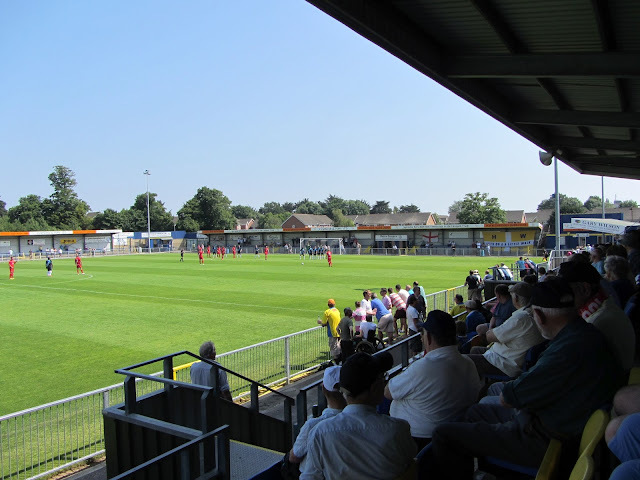 In 1998 the side merged with Waterlooville to form Havant & Waterlooville and Westleigh Park was chosen as the stadium for the new team. The ground has one all-seater stand which takes up just under half the space on the west side of the venue. It can hold 562 fans and sits directly behind the floodlights meaning the views are slightly interrupted. The stand is flanked by two standing sections - a covered concrete terrace towards the southern end and uncovered standing towards the northern end. In the south-west corner there is a club shop and directly outside the turnstiles is The Westleigh pub which was being used by home and away fans. The opposite side of the stadium is a shallow concrete terrace which is covered for the length of the eastern part of the ground. The team dugouts are positioned here either side of the half-way line. The two ends behind the northern goal and the southern goal are similar to this although the concrete terracing is a bit steeper to allow for a greater number of supporters. 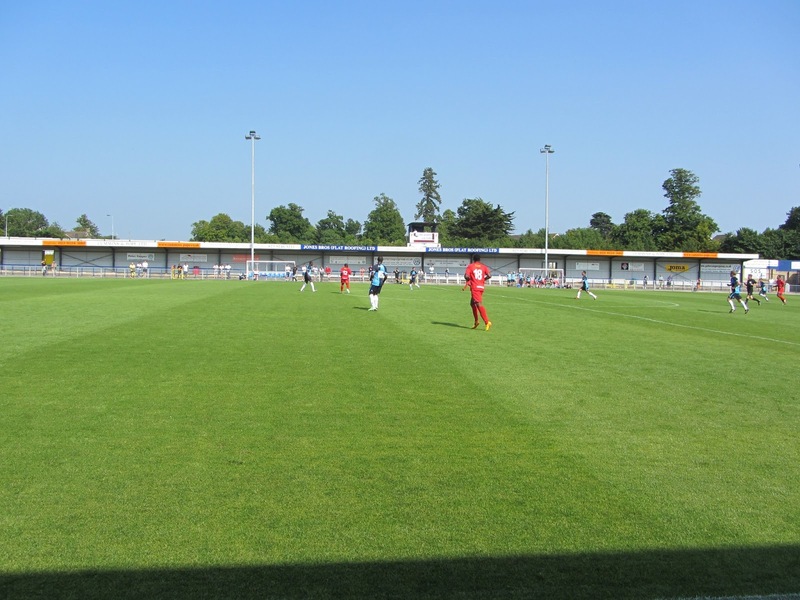 The game as a friendly match between Conference South side Havant & Waterlooville and Football League Two side Wycombe Wanderers. The home side began well and produced the best chance of the half in the 12th minute when and Ollie Palmer headed flashed just wide of the post. Havant & Waterlooville followed this up with a good spell of pressure on the Wycombe goal with the visitors spending little time out of their own half in this period. Wycombe ventured out towards the end of the half and a 25-yard drive brought a good save from the home keeper. After their pretty flat first half performance the League Two side made ten substitutions at the break and their new team seemed more up for the game. They immediately went on the attack and demonstrated the skills contained within the squad. Wycombe got the ball into the net on the hour-mark only to see it ruled out for a foul on the home goalkeeper. Just a few minutes later though they did take the lead when a scuffed shot in the box fell to Dean Morgan who dispatched the ball into the goal. The visitors should have added to their lead but failed to do so. The hosts had to make do with the occasional dangerous counter-attack until just before the end of proceedings when they were awarded a penalty after a Wycombe handball. Perry Ryan stepped up but saw his spot-kick saved by Matt Ingram and with little over a minute left on the clock Havant & Waterlooville were unable to produce anything else meaning Wycombe were 1-0 winners on the day.